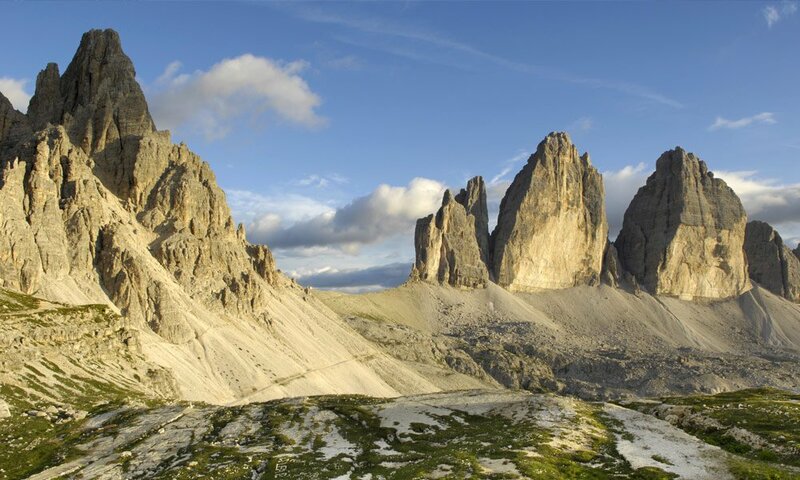 The mighty Dolomites are the pride of our region. Reinhold Messner, who is now known as the true connoisseur of the most impressive mountain ranges of the world, has noted the Dolomites again and again as the most beautiful. To experience their dignity and their presence that towers over the world, you do not have to be an exceptional mountaineer. 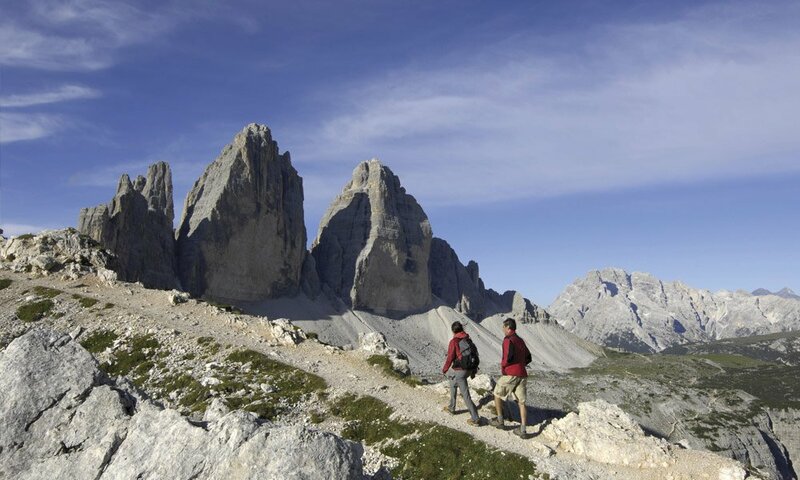 As our guest, you will have a marking holiday in the Dolomites. The proximity to these majestic mountains will impress upon your whole stay with us, ensuring a wonderful experience. In the old Ladin language, they are called Dolomites. 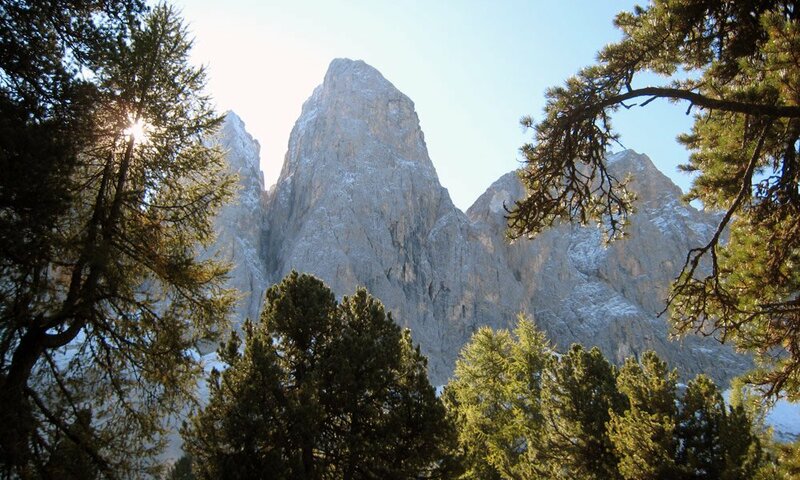 In Italian, Dolomiti – a term that finds its way into geology too. It gave its name to the sedimentary rock dolomite. Our mountains are made predominantly of this rock. If you look closely, you can see the different strata. A faint lustre is also characteristic. For this reason, the Dolomites were known for a long time as the Monti pallidi – the pale mountains. At the end of the 18th century, a French geologist carried out his research here using the equally name Déodat de Dolomieu. This geologist is seen nowadays as the true origin of the name Dolomites. The mountain chain, sometimes attributed to the Southern Alps, is in the modern Italian province of Trentino-Südtirol and Venetien. Its northern extent ends in the Pustertal. In the west, the area is marked out by Eisacktal and Etschtal, in the east by Sextental, the Kreuzbergpass and the Piave, which also marks the southern reaches of the area. The highest peak in the Dolomites is the Marmolata, at 3,342 m. If you come to spend your holiday with us in the Dolomites, you can say hello to a range of famous mountains: the Rosengarten or the Schlern, the Sella, the Drei Zinnen, the Geisler and Langkofel. A significant part of this feast for the eyes has been part of a UNESCO World Natural Heritage Site since 2009.